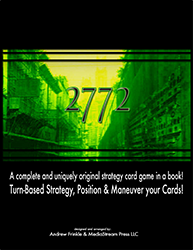 So I just made this new strategy card game/CCG. It's actually about 10 years old, but I finally found a way to distribute it. I added new materials, did the cover, and fixed it up a notch.